All Purpose Abrasives have launched an industrial range of emergency response lighting. 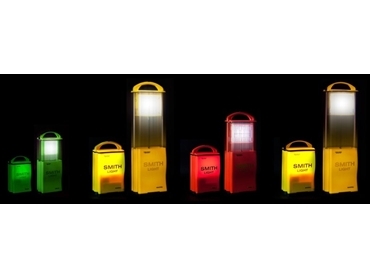 The Smith Light Portable lighting options produce 1080 lumens on both sides of the light head and can operate continuously on a single charge for up to twelve hours. Durably constructed these lights are UV and salt water resistant for use in both wet and dry environments and can be controlled via remote. The unit can be extended or tilted down by up to 60º making them idea for large area illumination. Producing little heat, the Smith Lights allow personnel to comfortably work in close proximity. There are also intrinsically safe models available for use in mines and oil rigs.